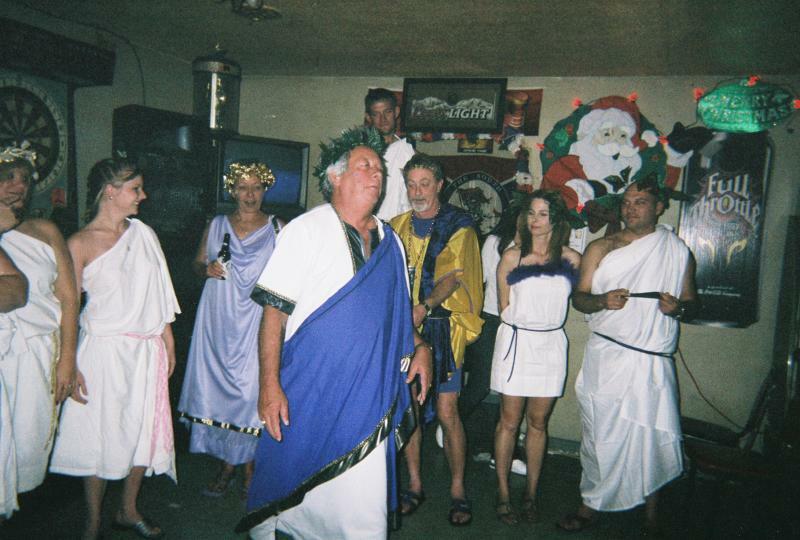 We have holiday and theme parties on a regular basis, such as Christmas, New Years, Halloween Costume, Toga, Luau, and more. We tailgate with food, drinks, friends, and fans for the LSU Tigers and New Orleans Saints football games. We include the Super Bowl, Final Four, and World Series in our tailgating schedule. We have 4 big screen TVs scattered throughout the bar. Make Billy Mc's Bar your choice in Bars for tailgating. We will host Mardi Gras float parties with Billy Mc catering the food. Anniversary and Birthday parties are hosted by our friends at the bar on a regular basis. We have even hosted Cajun Weddings at the bar. Have your party at Billy Mcs Bar and we can help arrange food, fun, drinks, and music to make your event fun and memorable. Join the Friends and have Fun with us at Billy Mcs Bar!